Police identified the 18-year-old as Tiffany Cabreja. Police named Tiffany Cabreja as the 18-year-old woman whose body was found Saturday at a construction site in Southwest Miami-Dade. Cabreja's body was found in the area of SW 288th Street and 144th Avenue, according to Miami-Dade Police. "She was a normal kid, a teenager," father Domingo Cabreja said Sunday. "She was attached to me, I miss her." Officials said they first received the call when witnesses reported a body falling out of a commercial truck going eastbound on SW 288th Street as it made a left turn at SW 144th Avenue. "The subject stopped the vehicle, got out and picked the female back up and put her back inside the car," said Detective Robin Pinkard with the Miami-Dade Police Department. The man then continued northbound on SW 144th Street, police said. When officers responded to the area, they found the Cabreja's body at a nearby construction site, according to authorities. 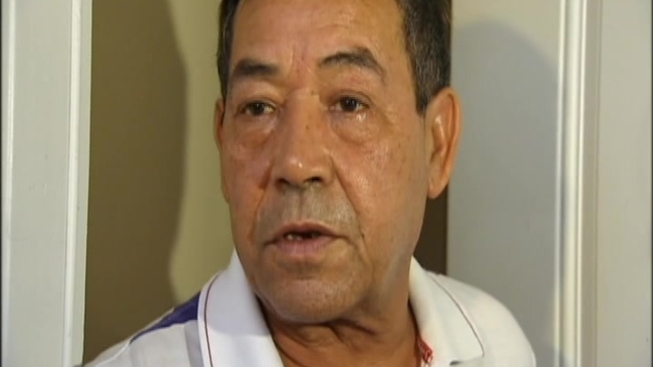 "They say they kill her some place and they dumped her there," Cabreja said police told him. Witnesses also told police there may have been a toddler in the truck when the driver took off, police said. Officials confirmed the toddler did not belong to the victim. Tiffany's father believes the man behind the wheel is a friend of his daughter's. In fact he says the teen last saw him on Friday, when that friend picked her up at her Homestead house, in another vehicle. "She come back, she changed her shoes, she leaves here, and then she don't come back. She said she was going to go to the store and she don't come back," her father said. The truck was described as a white commercial truck with a caged bed and black lettering on one side. Anyone that may have seen it is urged to call Miami-Dade CrimeStoppers at 305-471-TIPS (8477). "They need to get him. They going to do it to someone else. They did it to her, they could do it again," Cabreja said.